It’s never too early to start financial planning for future needs like dream home, new car, retirement fund, children marriage, foreign trip, etc. Most of the youngsters who are in early 30’s or late 20’s care a lot about earning money, but they spend the hard earned money right away for living a king size life. Current life is everything for them. They don’t care much about the future needs and they tend to struggle when their earning power goes down with their age. These type of people will realize their mistake at later part of their life and regret for not having a proper plan. I was one among them who love to live a king size life today. I had the habit of spending what ever I earn with a very minimal or no savings. Thanks to my brother who figured out my bad spending nature and taught me about the importance of saving and planning for future. I realized the importance of saving and started planning for future needs. I’m reading a lot of information on financial planning and controlling over spending instincts. I would like to share my learning as well as my thoughts on this blog with a new series Personal Finance. Hope you guys join me in exchanging views and planning for better future. The very basics of financial planning is to understand various investment options available and the nature of their returns. Financial Investment products are broadly classified into two types – Debt and Equity. Debt investments gives a guaranteed and pre-determined returns but the returns are very low. 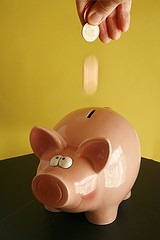 Let’s say you give me some money and I promise to to return the money with a fixed interest – this is a debt investment. Debt Investment options available in the market are – bank fixed deposits, government bonds, PPF, etc. These investments are safe, risk free and at the same time the returns are low. In India we get an average of 8% returns on debt investments. Equity investments are quite opposite to debt – they provide high returns but there is a lot of risk involved associated with them. Let’s say you invest in one company and expect them to do well so that they share their profit with you. If the company does well and announces high profits then you get high returns, but if the company bankrupts or looses then you loose your investment or get very less returns. Typical examples of equity investments are – investing in shares, equity mutual funds. On an average equity investments gives returns varying from 15% – 25% in long term with a considerable amount of risk attached with them. It really does not matter how much we earn today, but how much we save for future matters a lot. Satish, You will find more such posts here in the coming days.